The Flyers have reportedly claimed defenseman Johnny Oduya off waivers. The Flyers already made one move ahead of Monday afternoon's NHL Trade Deadline when they acquired Red Wings backup goalie Petr Mrazek last week. Could another move be on the way for Ron Hextall before the 3 p.m. deadline? We've got you covered with the latest updates from around the NHL. 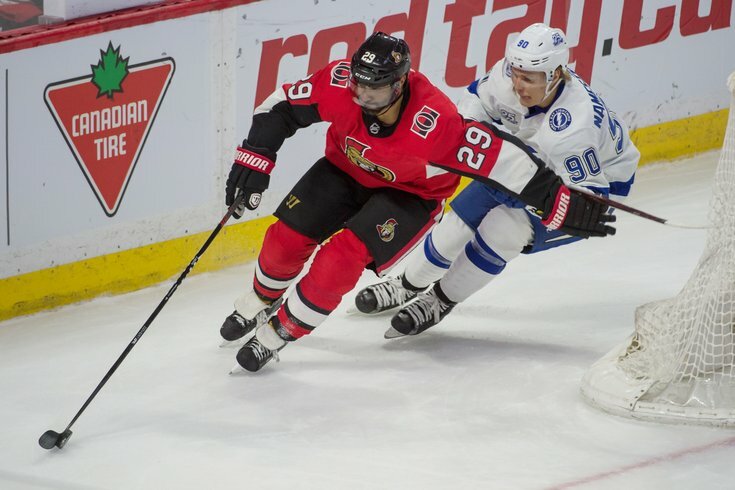 The Flyers have claimed former Senators defenseman Johnny Oduya off waivers, the team announced on Monday. They also lost defenseman Mark Alt to Colorado (via waivers).